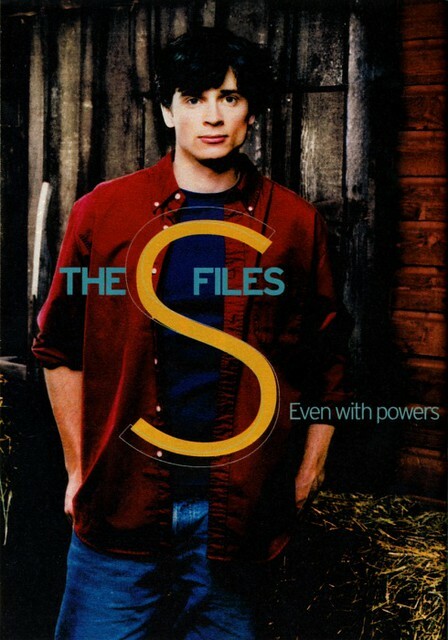 Hard to believe that Smallville has been on television since 2001! Having been in production ten years, this must be the most successful show ever created about a comic book character. 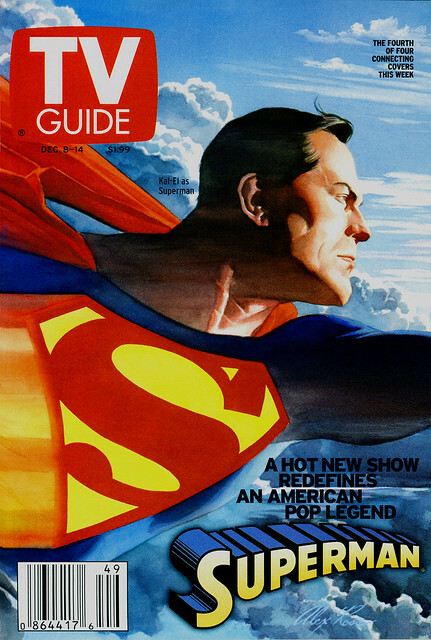 I recently came across these cover scans of TV Guide from December 2001, when they commissioned Alex Ross to do 4 covers. 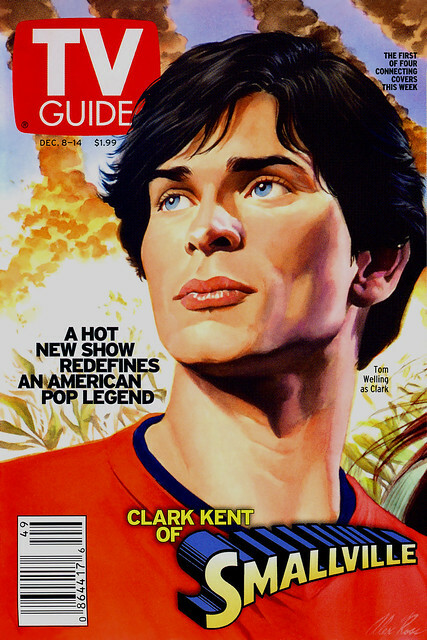 The first one here has Tom Welling as young Clark Kent. I think Welling was born to be a Ross model! Kristin Kreuk as Lana Lang. While the likeness is good, I think this painting misses part of her personality. That desperate soap-opera watery longing for Clark in her eyes, which stretched out an impossibly doomed romance over 6 years. 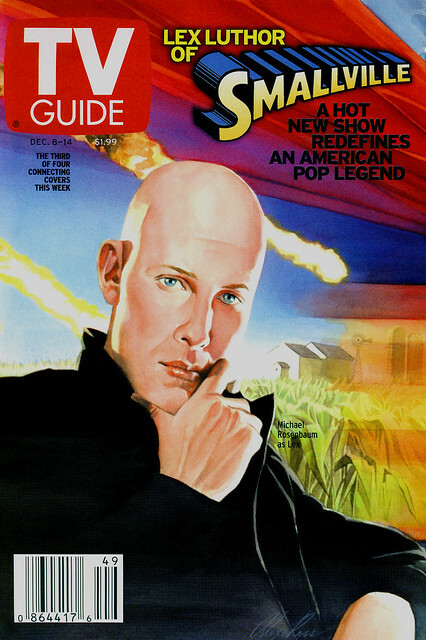 Michael Rosenbaum, as young Lex Luthor. A thumb and fore-finger cradling a bald head always points to Machiavellian levels of intelligence. I often try this trick on my enemies, but it just doesn’t seem to intimidate them at all. Finally, Alex Ross’ superb rendition of Superman. I always read TV Guide in the 70s, and having Ross’ painting next to that famous logo just seemed to legitimize the comics art form. 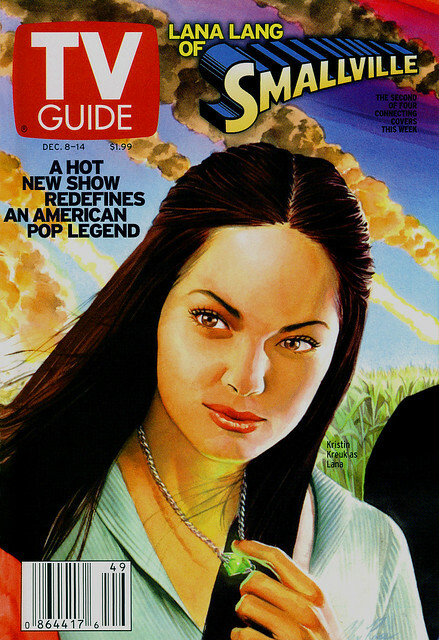 The interior article featured this photo of Kristin Kreuk, who looked incredibly young and fresh back then. When this series first went on the air, didn’t we have internet trolls saying that Lana couldn’t possibly be portrayed by a girl of Asian-mixed heritage? Years later those same trolls probably watched Street Fighter: The Legend of Chun-Li five times because she starred in the movie. Tom Welling also seemed impossibly young. It will be interesting to see if he can star in anything else after being associated with Clark Kent for 10 years. He has directed a lot of the episodes and can have a career as a producer/director. I’ve watched Smallville sporadically, cherry picking what looked to be the best episodes. My favorite episode was in 2004, Run, which featured The Flash. They used Bart Allen as a super-speed troublemaker and there was a nice light-hearted tone to the story. Any of the episodes featuring Justice League characters were worth watching. Another favorite was Red from 2002, which was written by Jeph Loeb. It was fun seeing Clark Kent’s personality change under the influence of Red Kryptonite, and it almost brought him together with Chloe, Allison Mack’s character. I think the Smallville writers really missed a beat—if this universe is different than the comics, why not have Clark wind up with Chloe rather than Lana/Lois? In the past couple of years, the Geoff Johns episodes have been special, especially the Justice Society one with Hawkman. Nuff Said!